This is the speech I have written for the education forum being organised by the local School Trustees Association. It is hard to cover as much as you would wish in 5 minutes. I think I have covered things fairly well but it doesn't paint a pretty picture. Our public education system is a great one, and we are ranked by most international assessments as amongst the top five in the world. We lead the world in our students’ achievements in maths, reading and writing. Our teachers are treated like gold when they work overseas, as I have found myself in the UK, just saying you were from New Zealand would assure you of a job. The main difference between New Zealand and the countries ranked above us is around cultural diversity and disparity of wealth. It has been suggested that 20% of our children are under achieving but when you remove those with identified disabilities we are only looking at around 16% of children and poverty (which now effects ¼ of our children) is a significant factor. When around 84% are doing well, we can probably do better but we are hardly failing. When this Government came into power we were in the process of implementing our National Curriculum, an exciting and innovative approach to teaching and learning. As I was personally involved in the writing team that developed our Technology curriculum I was excited by the fact that we were leading the world in this area and I could see how the knowledge and creativity we would develop in our children would give our country a huge advantage in the future. This National led Government has managed to largely smother the excitement and innovation that existed. When the huge tax cuts were given to the already wealthy and $35 million was provided to private schooling there was a clear message that the public sector was not a priority. The Minister of Education has stated that we need widespread systemic change and has looked at different models in the UK and US, who are ranked well beneath us internationally. Consequently National Standards have been forced on all of our primary schools without a trial or a research base. The introduction of our National Curriculum has been delayed while schools and teachers grapple with a flawed system that will never function as standards nor have national consistency. Any attempts to have the flaws addressed have been rejected and programmes like Ka Hikitia, that were designed to support struggling learners, have been largely side lined. Most of our curriculum advisors have been now been sacked and the Education Ministry had its funding cut by $25 million. A recent review of the Ministry rated it as one of the poorest performing of all ministries. At a similar time that this report was released the CEO of the Education Ministry had her salary increased by $20,000 while Support Staff were given a pay increase of less than 2%, and most still struggle on wages barely above the minimum. The Increase to the schools operation grant was not enough to cover even this meagre increase so many support staff lost hours of work or their jobs. 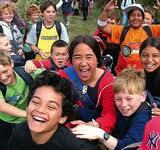 Support staff make up about 30% of school staffing but are amongst the most vulnerable workers in New Zealand. The Government slashed $400 million from Early Childhood Education and de-professionalised the sector by bringing a funding cap of 80% qualified teachers. Parents are experiencing increased costs as Kindergartens and Centres struggle to maintain fully qualified staff. Many children are being excluded from accessing a quality centre because of this. While funding has increased in the last budget much damage has already been done and we are still underfunded in this sector compared to other OECD countries. When we have one of the highest levels of working parents in the developed world and one of the worst records of child health and welfare, Early Childhood education deserves better support. Our Secondary Teachers find the demands of NCEA and meeting the needs of diverse learners has increased their workloads considerably but a reduction of class size has been rejected. I personally know many good secondary teachers who have left the profession because their workload has had a negative impact on their families and themselves. Many potential teachers in areas such as science and technology are discouraged because of the conditions of work. Even our tertiary sector has suffered through funding caps and restrictions on student places. Our Universities are dropping in their international rankings and even though we attract 10% of international students we are seeing our worldwide reputation in decline. The limited funding for research in Universities is a large factor and another reason why a ¼ of our graduates leave for overseas. The Green Party believes that Education is an investment, not a cost. For example every $1 spent on Early Childhood education there is at least a $7 return. It was asked recently that if we spend $91,000 a year to keep each prisoner in jail and pay our police considerably more than teachers aren’t we focussing on the wrong end of the problem? The Green Party will wipe the current National Standards system and restore the status of our curriculum. We would fund 100% qualified staffing in Early Childhood education. We would support centrally funding Support staff and we would work towards a maximum class size of twenty. We would also increase the inadequate operations grant by 10% and make sure the SEG grant adequately addresses the actual number of special needs children in each school. We won't resort to selling off our state assets to do this but use the revenue generated by sensible taxation and a revitalised green economy. We are a country rich in resources and talented people we can invest millions in being the best in the world at rugby and sailing in the America’s cup and spend billions in building new motorways. But if you want investment in our children, in education and a real future to be a priority then party vote Green on November 26.